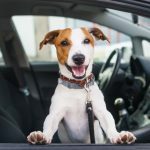 With all the new devices and smart technology on the market, searching for the right dog training tools can be overwhelming for new trainers. But dog owners don’t necessarily need to break the bank to get their pups to behave. 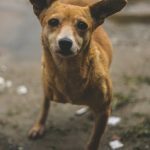 It’s possible to train a dog without buying anything but the bare basics (e.g., leash, collar, etc. ), but these tools can make the process a lot easier on both the trainer and the dog. 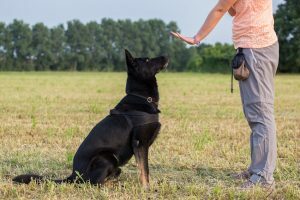 Arguably the best incentive for a dog to train, treats make it easier to reinforce certain behaviors. The best way to use treats is to give them out constantly at the beginning and then intermittently after the dog masters the command. One can try giving dog toys, but treats seem to be more effective. 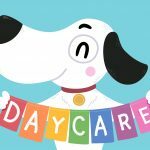 The latter behavior ensures the dog doesn’t overeat while simultaneously encouraging the dog to perform the trick with or without a treat present. 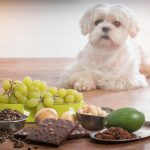 It shouldn’t be difficult to find treats that a dog likes and enjoys. However, it may take a little experimentation to find ones that will truly motivate them. A crate is a way to keep a dog out of trouble when they’re not actively training. Some dog owners will even use crates for the dog’s entire life. Contrary to popular opinion, a crate isn’t an unwelcome prison for most dogs. As long as it’s used properly (e.g., never for punishment, etc. ), they will come to think of their crate as a safe space where they can get some peace and quiet. This method is perfect for dogs who have a nose for mischief no matter how much training they receive. However, once the owner knows the dog isn’t a threat to the home, the dog should be allowed to come and go. Crates also make car travel a lot less dangerous for both the driver and the pet. Getting a dog to come to their owner is pretty easy if they’ve been left alone in a crate for a few hours. And getting them to take a dog walk with you is easy as well. But getting them to come when there’s a squirrel 100 feet away is a very different story. Long lines were invented to allow a dog to test their limits and learn how to control themselves even in chaotic situations. 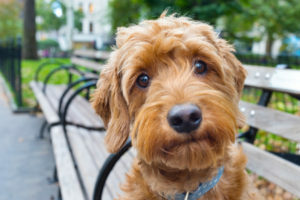 If a dog has the opportunity to travel up to 50 feet and decides to capitalize on it, the owner can simply reel them back without rewarding them. If they come back after they’re called, then the owner can give them some praise. Make sure you are using the best leash and dog collar. Shock collars have gotten a fairly bad name over the years, but they’ve come a long way. 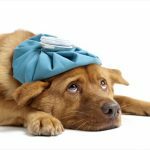 Dog-loving entrepreneurs have figured out a more humane way to help a dog learn right from wrong. E-collars are meant to mimic the same type of discipline a mother would give her puppy. This is done by stimulating the neck muscles as a way of teaching the dog its manners. These collars can be programmed to stimulate a dog based on their temperament, breed, weight, etc. Dog eCollars are specifically designed to ensure the dog will never be overstimulated or hurt during training. However, they typically work best with dogs that are inherently friendly and calm. Training a dog takes time, skill, and dedication, but the pay-offs are unquestionably worth it. A trained dog is easier to care for which means that dog owners get the rewards they’re looking for too. These tools can’t substitute the time and love an owner gives their dog during training. But they can supplement the commands so the dog can learn faster.